My skin always gets rough and dry during winter so my favorite thing during those cold days is to indulge in beauty products that offer not only excellent hydration but also help elevate my mood with a great "wake me up" scent. 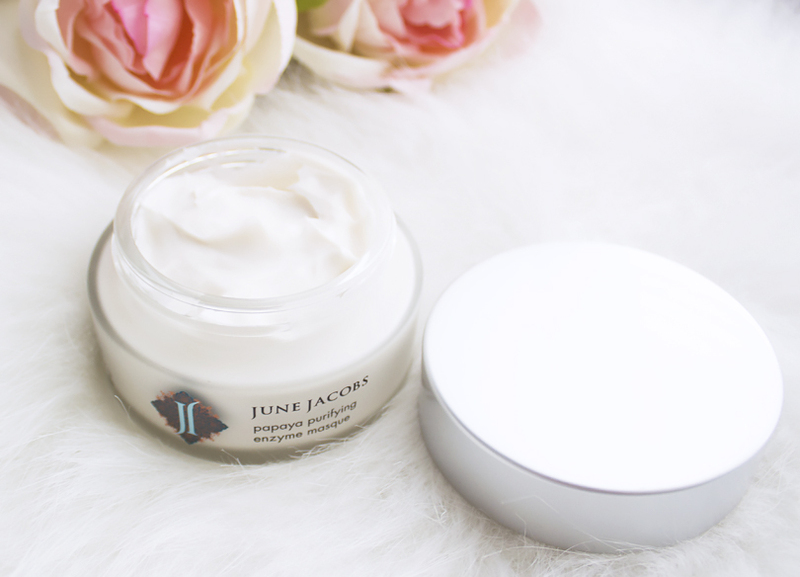 I am always excited to try new skincare and today I wanted to share with you my favorite picks from June Jacobs SPA Collection that I've been using for the past few months and that really help me beat the winter blues. 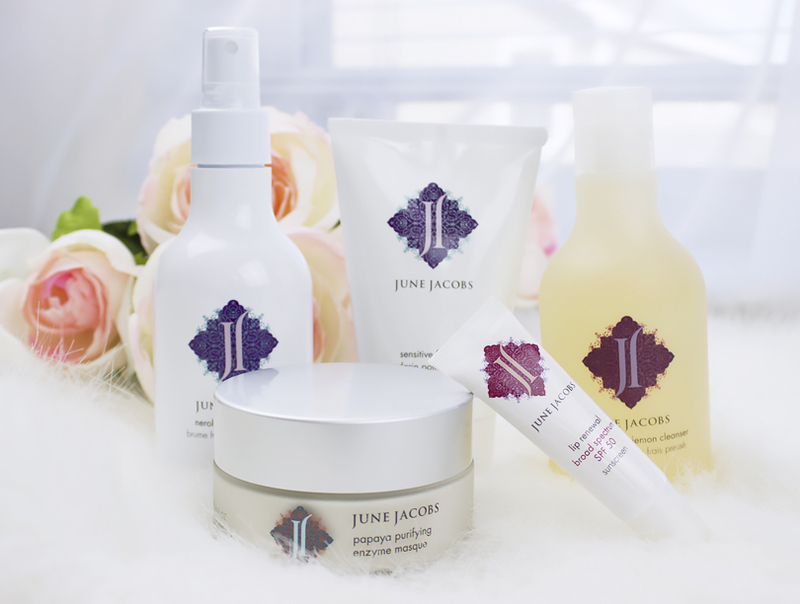 June Jacobs SPA Collection offers a variety of different products including skin care as well as hair & body care. All of them contain powerful anti-oxidant blend of white, red and green tea extracts as well as goji berry, pomegranate and grape seed extracts. They are also paraben and preservative free. Every morning I get up around 6AM and since right now it's still dark outside it's definitely my least favorite time of the day so I need something to help me wake up and start my day on the right foot. Let's just say June Jacobs Fresh Squeezed Lemon Cleanser with lemon peel extract is exactly what I need. I am absolutely obsessed with its super zesty and reenergizing scent and at the same time, it's very gentle on my skin. I've been loving using it every morning since it instantly makes me feel awake! I love the sensitive skin friendly formula which is probably one of the most gentle feeling physical skin exfoliator I've ever used and I kinda love how soft and clean my skin feels after using it. It is formulated with allantoin which helps to soothe sensitive skin and non-abrasive jojoba micro beads. I've been struggling with dry lips more than ever before so I really enjoy using this lightweight June Jacobs Lip Renewal with SPF50. It is paraben, preservative, and petrolatum free and packed with Hyaluronic Acid, Shea Butter, Vitamin E and more. I can't wait to use it in the summer too! It wasn't until recently that I fell in love with enzyme mask and I still remember the first time I used one and literally freaked out because it made my face all red (totally normal) my skin all red, but that's how it supposed to work and the redness calms down after some time leaving you with very refreshed and soft skin. 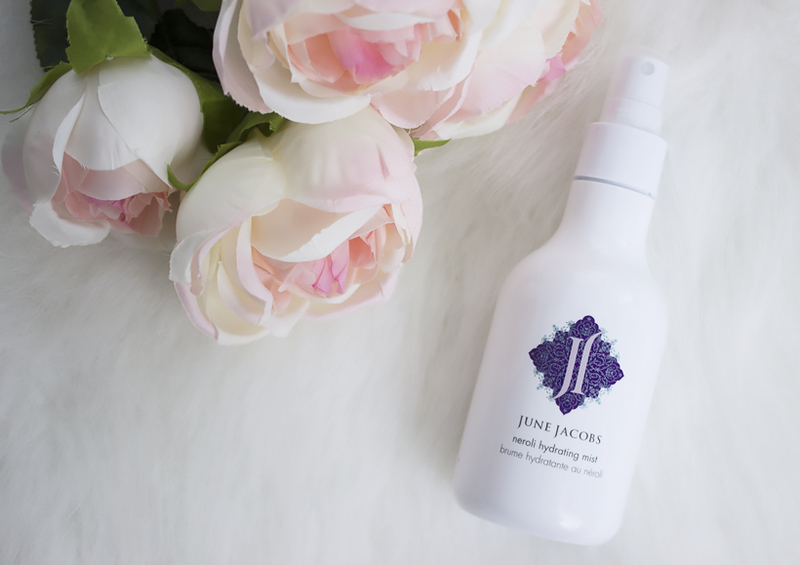 If you guys follow my blog and Instagram you probably noticed that I am addicted to face mists and this June Jacobs Neroli Hydrating Mist became my instant favorite because it not only smells amazing (very refreshing and zesty!) but it is also enriched with neroli oil, which is extracted from the blossoms of the bitter orange tree, that is known for its ability to stimulate cell regeneration. Love it! And how are you dealing with winter? Did your beauty routine change a lot?